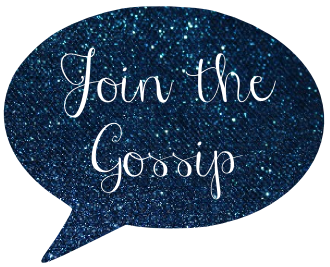 Attention SoCal bloggers: I have a fun free meetup in the works and I want YOU to join us. 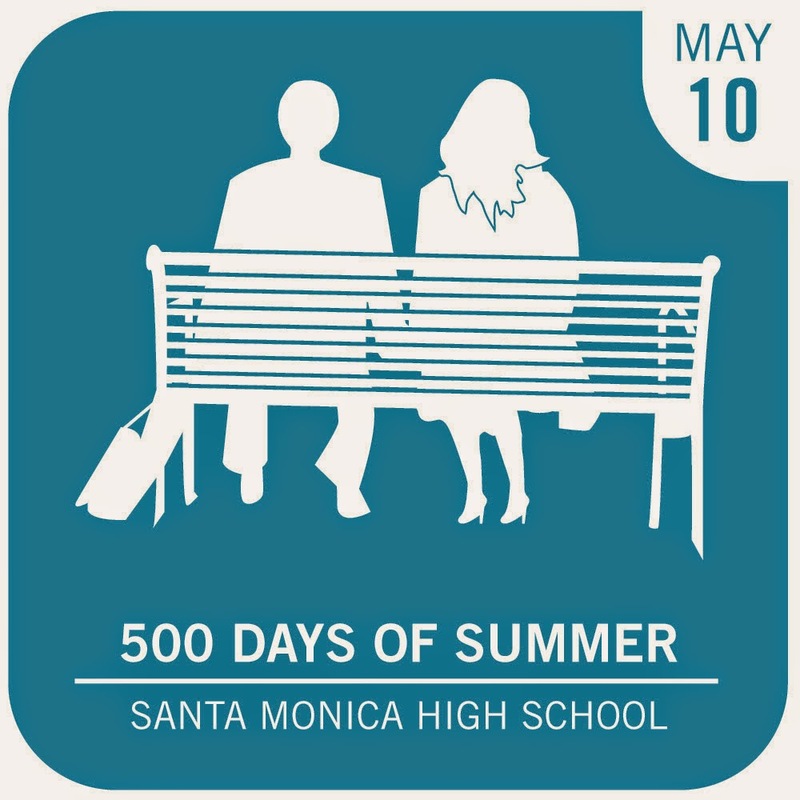 Let's hang out, grab some food, and catch a screening of (500) Days of Summer under the stars! Eat|See|Hear is a company that produces those awesome outdoor movies each spring/summer. Complete with food trucks and live music, it's quite the outing. I figured it'd also make a great setting for a group of bloggers to get together and have some fun! The best part? Guests of the meetup will get in free! In exchange for free entrance, I just ask that you write a post about the night mentioning Eat|See|Hear. I'm a friend of the creators and since they're generously donating free tickets, I'd like to give them some link love in return. Feel free to invite your blog friends, just have them RSVP with me so I can add them to the list. And if you have any questions at all, please let me know. One of my favorite bloggers, Setarra of Quaintrelle, has a new linkup that takes place the last Friday of each month called #ResidentTourist Link Up. The goal is to be a tourist in your own nook of the world. Fun right? I may be a few days late but wanted to join the party, so today I'm blogging about a local adventure I took last week to the Antelope Valley California Poppy Reserve! Antelope Valley is in Southern California, but about a two hour drive from where I live so I'd never been. I'd heard about the poppies - California's State Flower - and always wanted to visit so each year but they are only in bloom from mid-March to mid-May when the conditions are right. This year we had a few days of rain, and for our constantly-in-drought-region, that was all the poppies needed to spring up all over. These images don't really do the flowers justice, but the poppies were so beautiful and plentiful! Be sure to check out #ResidentTourist Link Up! And if you live in SoCal, a trip to the Antelope Valley California Poppy Reserve is a must. With the rain we got this weekend the conditions are expected to be even better than those I experienced. The other day I was dressed - unintentionally - in Old Navy from head to toe. I legit live in the distressed Rock Star jeans and the comfy flats are in constant rotation amongst the 58675 other pairs I have from the store. The top is new and I adore it because it can be dressed up or down. I actually wore it to work the America's Got Talent red carpet the other day. Oh, and the necklace. I instantly fell in love and I don't even like yellow. It was just that cute. Unfortunately ON doesn't sell jewelry online but you should definitely check your local store. This must-have bling is so fun for spring/fall! Yesterday I hit the red carpet to talk about America's Got Talent Season 9 with the stars of the show. Among many topics, we talked about the what it takes to impress the judges, how it's rough to reject contestants, and the brand new AGT Golden Buzzer which allows each judge one save this season. On what talent she looks for: "Weird is good but they have to be talented. There has to be something to them that makes me want to stand up and give them a standing ovation." On being the first judge to use the Golden Buzzer: "I'm very passionate about who I saved but the idea is we only get to use it once a season. Hopefully I'll use my charm and charm some of the other judges into using their Golden Buzzer moment." On the hardest talent to perform: "When you're a comedian you've gotta come up with jokes. That's tough. That's real tough." On dealing with rejected contestants: "I'm there to be a therapist at times, to let everybody know that it's not the end of the world. It's only a television show." She only did a few - if any at all - interviews then rushed off the carpet. Womp womp. This Saturday Nautical By Nature and I are heading to a taping of an audition. It should be fun! Although I'm worried I'm going to feel really bad for everyone who gets cut. Even if they have no talent, I'm a sissy with people's dreams getting crushed! I'd clearly make a lousy judge. AGT returns Tuesday, May 27 at 8/7c on NBC. Make sure to tune in. I love to travel! This year I've already been on a cruise, have trips booked for NYC and Philadelphia, as well as a weekend getaway to San Francisco in the works. But the only downfall of vacations is the packing, and repacking again and again. I'm always over packing for fear of leaving something behind that I may need. But it doesn't have to be that difficult. The key is to make a list of fashion travel essentials that are versatile. Enter the Joules vacation shop. A British-based clothing site that provides affordable shipping and free customs charges, Joules has a bunch of adorable pieces. And the vacation shop is a great resource for your travel needs. Among my favorite items are my personal travel essentials for Spring/Summer. 1. Simple Dress: Pack a dress that doesn't wrinkle. You can wear it for a nice meal or a casual tour. 2. Lightweight Hat: If you're like me, you hate applying sunblock. You'll need a hat to shade your face. 3. Practical Shorts: Bring shorts that are the right length and won't ride up while walking around. 4. Comfortable Shoes: A lot of walking means sore feet. Prevent extra pain with practical shoes. 5. Basic Top: You may have to wear a top more than once, so pack a basic, comfy one to repurpose. 6. Go-To Swimsuit: Even if water isn't anticipated, have a suit that you feel confident in just in case. What items do you have to pack when going on vacation? Disclaimer: This post was sponsored by Joules. However, all thoughts and opinions are my own. Perez Hilton and TMZ reported that Gwen Stefani is stepping in to replace Xtina as a judge of The Voice Season 7! Seems those rumors of Christina Aguilera not returning to the show due to her pregnancy were spot on. When I worked The Voice red carpet with the judges and Carson a few weeks ago, they were tight-lipped on the return of the show's most outspoken star. But is Aguilera skipping a season or gone for good? With the recent announcement of Pharrel joining the cast, it makes sense for Gwen to sign on as well. They've worked together on previous records (ahem mega-hit “Hollaback Girl”), are friends, and Gwen made an appearance at Pharrel's Coachella set last week. So what do you think about everyone's favorite Orange County girl joining the cast of The Voice judges? She certainly has the talent and experience to coach hopeful singing talents. You know that saying, "it's about the journey not the destination"? Nah. I'm going to help you get to the desired destination without some of the unnecessary steps along the way. 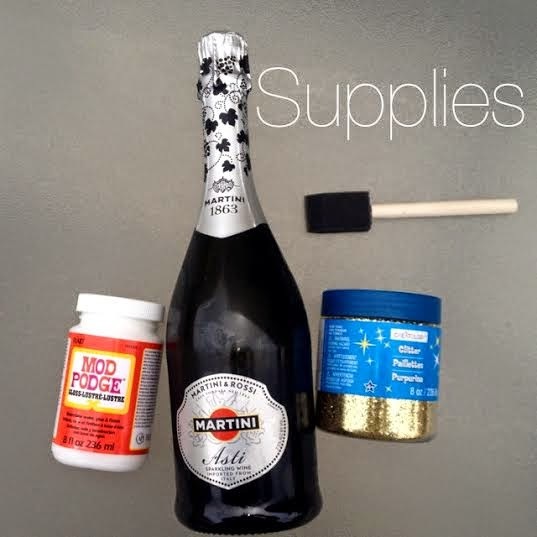 This glitter champagne bottle tutorial is to help you avoid the mistakes I made. So let's jump into it! Step 4 is where I went wrong. After the glitter and glue are dry, you still need to seal the glitter to avoid flaking. Instead of the spray, I followed a tutorial that suggested re-applying a layer of Mod Podge. Big mistake! That actually started stripping all of the glitter off and made the process much harder than it needed to be. But lucky for you, I have the solution to missing glitter should you need to apply more - step 5. The glue will look thick, but that's OK it dries clear.